Boosting diversity and inclusion has become a top priority for many business professionals around the world. 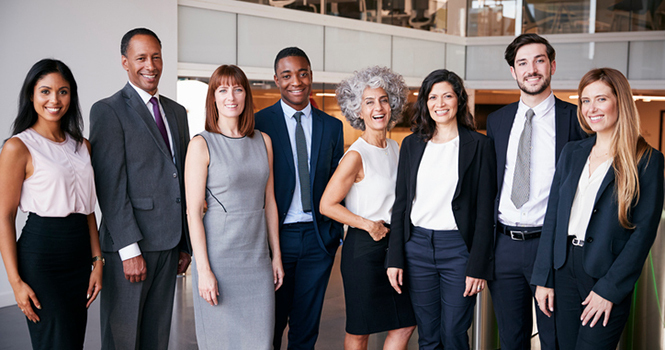 Here are three steps you can take as a real estate professional to help strengthen diversity and inclusion in your workplace. Having a mixture of cultures, backgrounds and abilities in your workforce can bring different experiences and talent, which can help to increase innovation and perspective. Local and national minority organizations are great places to strengthen and cultivate relationships with diverse groups of real estate professionals. When employees feel engaged, they’re committed to their team and their company. Be an open organization where team members of all backgrounds, religious beliefs and sexual orientations can be who they are. Empowering each employee to discover their own potential, through conferences and other development opportunities, shows you’re invested in each of them as an individual, as well as in their growth and advancement. By building an inclusive environment for your team members, you’re developing stronger networks and connections for your business, and it may also help cut down on the costs of expensive turnovers. Community involvement helps benefit the future growth of the area where you live, work and play, and it provides you an excellent opportunity to attract new employees and clients. “Depending on the level of participation, getting involved can also develop leadership skills, establish you as an expert in the field and create loyalty among your brand,” says Smith. Develop strategic relationships with diverse organizations and groups within your community, such as faith-based and non-faith based organizations, nonprofits and local government agencies (police, fire and schools). Community involvement is also an easy way to boost morale and company culture: It gets team members out of the office and interacting with each other for a cause they care about and support. People make decisions with their head and their heart, so make sure that your talent and client base is represented in all aspects of the business. If you have any questions or would like more information on how the Quicken Loans Agent Relations team can help you grow your business, call (866) 718-9842 or email us at AgentRelations@QuickenLoans.com. You can also visit us at RealEstate.QuickenLoans.com. Experts from the Quicken Loans Diversity and Inclusion and Talent Brand teams provided insight for this article.